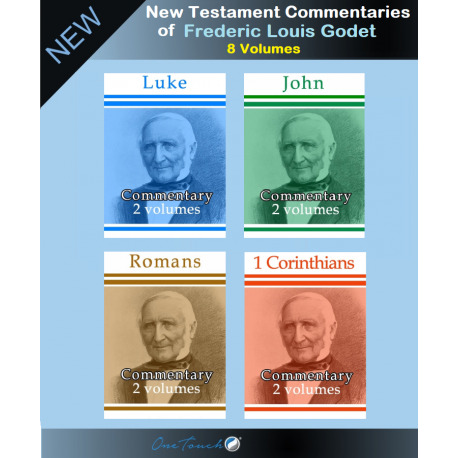 The famous New Testament Commentaries of Reformed theologian and commentator Frederic Louis Godet, in 8-volumes (on Luke, John, Romans, and 1 Corinthians). Reprinted in numerous editions, Godet's commentaries are landmark works of (Evangelical) Protestant scholarship and exegesis, and remain highly valued today. Biblesoft is proud to offer these to our users—truly they are volumes which belong in the library of every student and scholar of the New Testament! The New Testament Commentaries are also included as part of the larger 13-volume Frederic Godet Collection.